Look what has just make a home on one of my parents' plants. 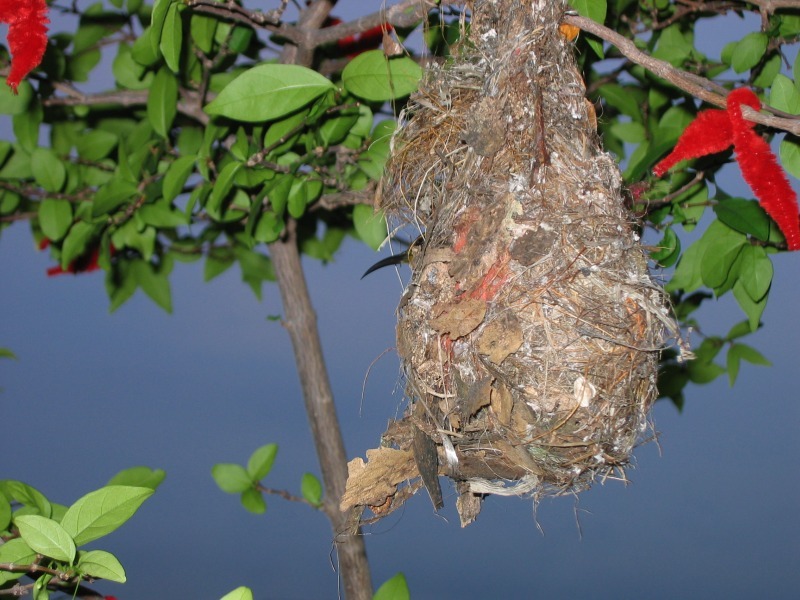 Looks like a Sunbirds nest to me. Can I go take pics of it? Last edited by benny; 8th Apr 2006 at 22:33. That beak that sticks out looks typically sunbrid-ish.. only what type..
i would but tomorrow busy like siao man... all day got pple coming my house from 9.30 in the morning start..
You're talking about the 3x2 ft ya?? WAit.. dont answer that.. if not will be OT..haha..
Well. You are a busy man. Haha. How is the picture that I took? Took it with my humble Powershot A80. Not bad leh.. but the shadows a bit harsh.. the sky like going to rain..
Hi Nic, thanks for the Pm but due to some reasons....i have to stay at home for the next few days. 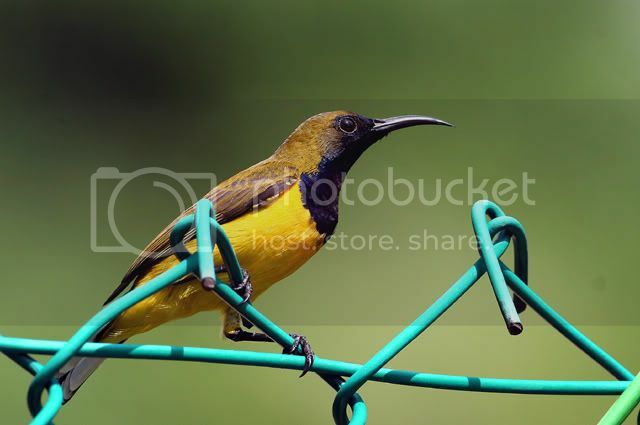 most likely an Olive-backed Sunbird, Nectarinia jugularis. these are the most common in Sin. Here is a shot that was taken a while back in my garden. WOW!! so natural for a bird to be perched on a green .... fence.. The bird's feather looks nice especially the yellow and dark blue part! Indeed a nice shot!